Composed by Dennis Allen and John B. Calkin. Arranged by Dennis Allen. Daybreak Christmas Choral. Anthem, Carol, Christmas, Sacred. Octavo. 12 pages. Published by Daybreak Music (HL.119122). Share the story behind the song! 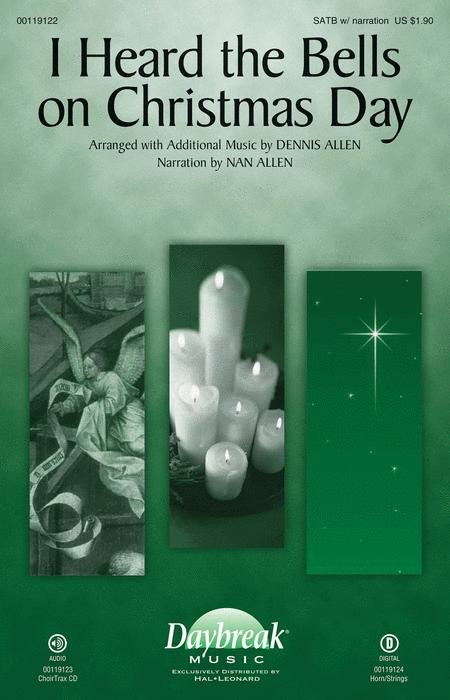 A stirring dramatic narrative of this carol's origin has been seamlessly intertwined with the music, causing the underlying message of God's peace that passes understanding to shine through in this creative setting. Score and parts (hn, vn 1-2, va, vc) available as a digital download.